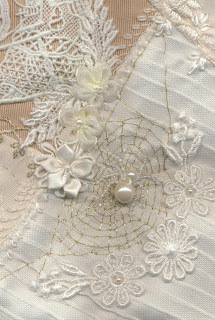 The January theme for the Victorian Symbolism Challenge with crazyquiltinternational on-line group is SPIDERS. 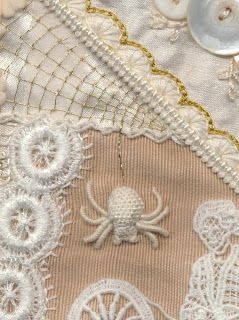 I made two spiders, one a pearl bead spider and the other a cream Stumpwork spider. Spiders in Crazy Quilting mean Good Luck, so hopefully there is a double dose on this block. WOW they are both exquisite in their own way but that stumpwork one is unbelievable stitching!!! I've always loved beaded spiders! Just don't like the live ones!!! whens block 9 coming up?? I spent an hour this afternoon sewing the blank block for no. 9 which has a particular piece in the centre designed to take a very specific lace motif.....watch this space!! 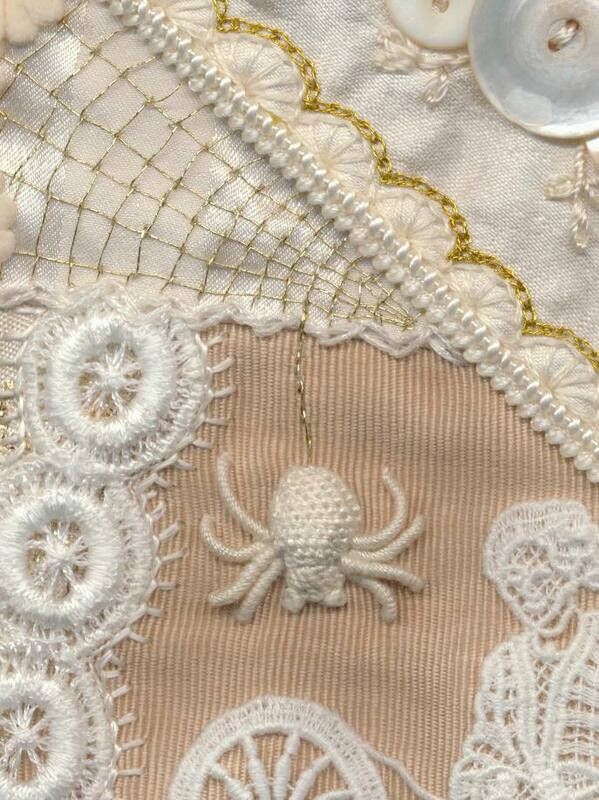 I love that stumpwork spider! Block 8 "Spinning" Block completed. Right! The stars come off! !